Refresh your wardrobe and get ready for the Holidays with Joe Fresh Canada! Shop online today and save up to 50% off Clearance Styles. In addition, save 30% off Sleep Sets. Also, you can buy Men’s & Women’s Denim only $15 (originally $29-$34). This sale ends December 13, 2018. This Women’s Short-Sleeve Ponte Dress is on sale for only $14.94 (originally $29) as part of the clearance deal. You save $14.06! 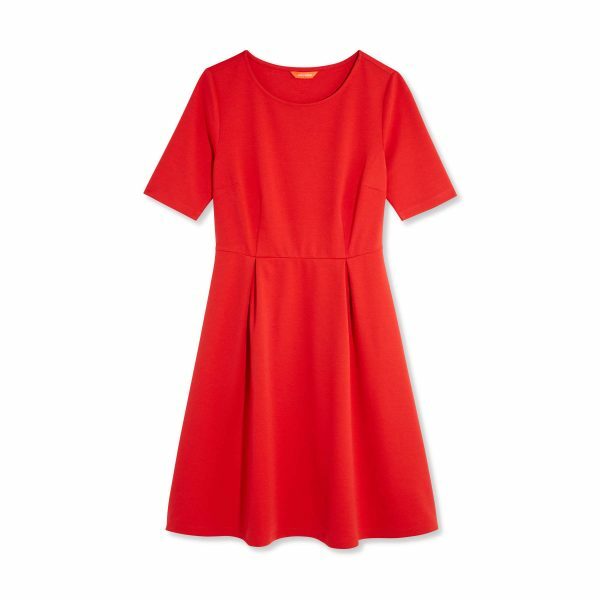 Designed with a fitted waist and a full skirt, this Ponte dress flatters every figure.